Midori Inc. Introduces Kraft Gift Wrap and Welcomes Navy to our Dupioni Silk Ribbon Line - Midori Inc.
MIDORI Inc. is proud to introduce our hand screen printed Kraft Gift Wrap printed and designed in Los Angeles. We are showcasing 2 new chic, one of a kind designs on Kraft paper. “I wanted to bring high design creating an unexpected elegance to simple Kraft paper” said Aya Sumika, MIDORI’s President and Creative Director. MIDORI is happy to announce that our Kraft Gift Wrap is 100% Recycled Kraft paper with High Elasticity and Tear Resistant. MIDORI believes that Kraft Gift Wrap will become a Customer’s favorite with its unique Metallic and Brilliant ink prints. MIDORI worked diligently to add a Kraft Gift Wrap to our unique product mix, now offering our first 3 designs, available in 24”x29” two sheets per roll. In time for the festivities, come get inspired to create a memorable Holiday season! With rich, gold metallic accents, Midori’s cute kitty goes scratch. MIDORI's Lady Silhouettes combines the classic feminine frame with contemporary women carrying this era as power players and leading ladies. 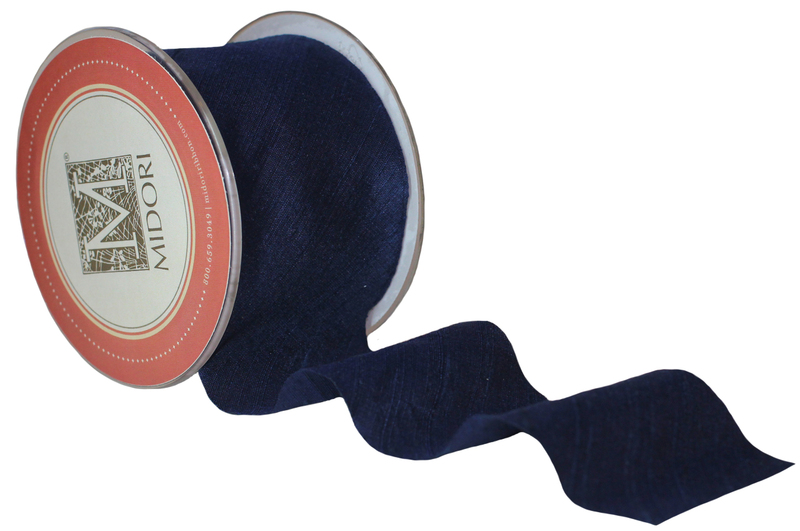 MIDORI Inc. is proud to introduce a new color; Navy to our Dupioni Silk Ribbon line. A classic color to enrich any occasion. MIDORI Dupioni Navy is 100% silk ribbon with a brush-stroke texture and available in 5 yard rolls. Say something special this Holiday season with our New Navy Dupioni Silk Ribbon. There’s nothing like a good Navy. This classic color addition has been a long time coming” said Aya Sumika, MIDORI’s President and Creative Director.